The American Prize in Orchestral Performance recognizes and rewards the best performances by orchestras in America, based on submitted recordings. There is no live competition. To learn about the ERNST BACON MEMORIAL AWARD for the PERFORMANCE of AMERICAN MUSIC, please click here. The American Prize is more than monetary. The Prize grew from the belief that a great deal of excellent music being made in this country goes unrecognized and unheralded, not only in our major cities, but all across the country...in schools and churches, in colleges and universities, and by community and professional musicians. Laureates of The American Prize at all levels of achievement derive local, regional and national recognition to help generate jobs, build audiences and sustain careers. Semi-finalists, finalists and winners are announced to national arts media and on our websites, where winners are profiled. Semi-finalists, finalists and winners earn the right to use The American Prize logo and official seal on printed programs and other documents, and on the web. Thousands of artists have derived benefit from their participation in the contests of The American Prize. SEMI-FINALISTS: All semi-finalists receive official certificates. FINALISTS and RUNNERS-UP: All finalists and runners-up receive certificates and written, unbiased evaluations from a member of our distinguished national panel of judges. When winners are announced on The American Prize blog, RUNNERS-UP are also profiled on the blog with their photos, biographies and website links. WINNERS: A single winner in each category and/or division is selected. Winners receive certificates, written evaluations, personalized press releases sent by us to local media and other contacts you provide as part of your application, and cash prizes up to $500, depending on the year, the category and the number of entrants. Only with your explicit permission, excerpts of winning performances may be posted to The American Prize channel on YouTube. The judges reserve the right to award citations and honorable mentions as warranted, and to combine categories when necessary. The decision of the judges is final. The American Prize in Orchestral Performance is offered in as many as five categories, based on the membership in the ensemble, and on the number and quality of entries. Applications on behalf of orchestras may be made by the conductor of the ensemble, its board members or other orchestra leaders, such as faculty or administrators, by the musicians themselves, or, in the case of student ensembles, by parents. Only one application per ensemble per year may be submitted. Conductors may apply separately for conducting awards (see Conducting Prizes). 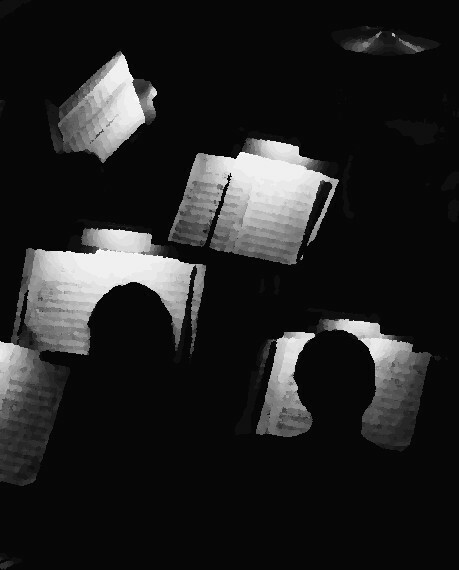 Orchestral ensembles performing works with chorus should be entered in the Choral Performance competition. The competitions of The American Prize are open to all U.S. citizens, whether living in this country or abroad, and to others currently living, working and/or studying in the United States of America, its protectorates and territories. The American Prize does not discriminate on the basis of ethnicity, gender, age, spiritual or personal belief, disability, sexual preference or gender identification. All application fees must be remitted in U.S. funds. Every applicant must send certain required information by email. B. BY MAIL & EMAIL: mail the completed, downloaded application form and send audition selections on disc or tape to the office, and email the required information (see application form), pay fees online, or by check, by money order or credit card. 1. Download the application form for The American Prize in Orchestral Performance. Select the category which best identifies the applicant. 2. MAIL the completed application form by the deadline date or EMAIL it as a PDF attachment with your required email. 4. If providing audition selections BY MAIL, include two identical recordings of the applicant in performance, with the selections clearly indicated on both the recording itself and on the recording's cover or box. Be sure it lists applicant's name. 5. Be sure to sign the form and pay the application fee. Pay ONLINE (click "FEES/GIFTS" in the menu bar, above), or use this link: "Pay competition fees", or send check, money order or credit card information by mail. The application fee is $80 per application. Pay ONLINE (click "FEES/GIFTS" in the menu bar, above) or use this iink: "Pay competition fees" pay by credit card, or make checks payable to HCMT/The American Prize (see application form.) Application fees are nonrefundable. No incomplete applications will be accepted. When paying online, BE SURE to identify the applicant with the payment. You need not prepare a special tape for The American Prize. A previous recording, whether of a concert made in front of an audience or one created in a recording session without an audience, is perfectly acceptable. Neither the location nor the repertoire of any qualified individual limits eligibility, provided the general guidelines listed below have been met. Excellence within categories is the primary criteria for the selection of finalists and winners. 1. MAIL recordings of, or email ONLINE links to, not less than thirty minutes of music of your choice, selected from a recent performance or performances recorded within the last five years. Complete works or complete movements only. No excerpts. 2. Performers and works must be clearly identified on the disc itself and on the cover or video box. We accept CD, DVD or VHS recordings, or online links only. No cassette tapes. No materials will be returned PLEASE NOTE: If applying for both the ensemble prize and the conducting prize, the requirements for the recording in the conducting category are different from those listed above—video is required for conductors. (See Conducting Prizes.). 3. If submitting ONLINE links, include them in your required email. Be sure to identify the links by title of the selection and provide any passwords necessary, so judges can easily access your audition. Links must remain active until results in the category are officially announced. PLEASE NOTE: The responsibility for the viability of links rests with the contestant. Please double-check that they work correctly. 4. There are no other restrictions. No materials will be returned. Final deadline for postmark or emailing applications: Monday, June 3, 2019. Applications will be acknowledged by email following that date. In general, the entire competition process is completed over a number of months. Semi-finalists are announced in the fall, finalists in the winter, followed by winners—after which all certificates, evaluations and prizes are mailed. Specific dates for the announcement of each stage of the competition are posted in regular updates to the competition's blog and facebook pages. Find those links on the homepage of this website. The American Prize competitions are administered by Hat City Music Theater, Inc. (HCMT), the 501(c)3 not-for-profit organization based in Danbury, CT.